A glympse into my journey through the land of fire and ice. Lights dancing under a full moon at lake Thingvallavatn in Iceland. We were blessed with beautiful lights throughout the night and I couldn´t resist taking a selfie. 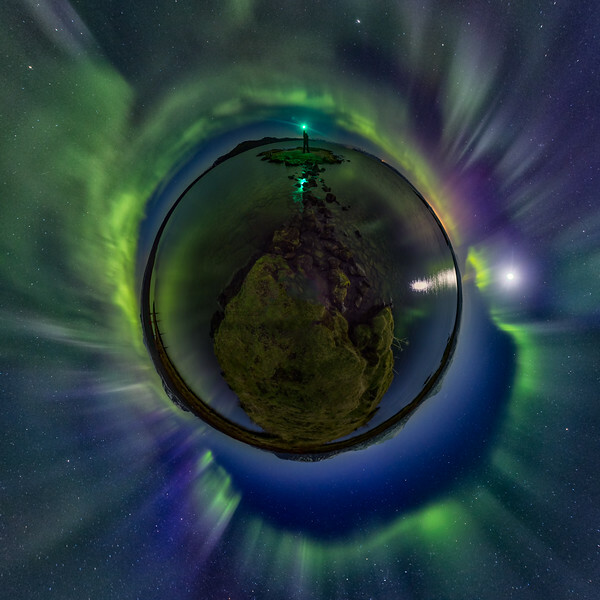 A 360 panorama warped into a little planet.